The leading North American money earner of all time until March 2016, with $10,501,800 in purses, Curlin was inducted into the Racing Hall of Fame in 2014. Curlin was named Champion Three-Year-Old Colt, Champion Older Male, and Horse of the Year twice. Curlin sired G1 Belmont Stakes winner Palace Malice in his first crop followed by G1 Kentucky Derby contender Ride on Curlin and G2 winner Diversy Harbor in his second. 2015 proved to be his breakout year with G1 Travers victor Keen Ice, multiple G1 winner Curalina, G1 Santa Anita Oaks heroine Stellar Wind, G3W Ocean Knight, G2 Schuylerville winner Off the Tracks and Exaggerator, who won the G2 Saratoga Special. 2016 was highlighted by Exaggerator’s G1 Preakness and G1 Haskell victories, Curalina’s G1 La Troienne and G3 Shuvee, Off the Tracks taking the G1 Mother Goose, Stellar Wind besting the great Beholder in the G1Clement L. Hirsch, and homebred Terra Promessa’s scores in the G3 Fantasy and G3 Honeybee. His progeny’s performance earned him the second spot atop the North American general sire list, and his fee was increased to $150,000. His dominance continued in 2017 as Stellar Wind reigned over her division, taking the G1 Clement L. Hirsh for the second year in a row in addition to the G1 Beholder Mile. Curlin was also represented by Keen Ice’s G2 Suburban win, Curlin’s Approval’s win in the G2 Princess Rooney, and top Derby contender Irish War Cry’s G2 Wood Memorial victory. The year concluded with a G1 Breeders’ Cup Juvenile victory and Champion Two-Year-Old honors for Good Magic. 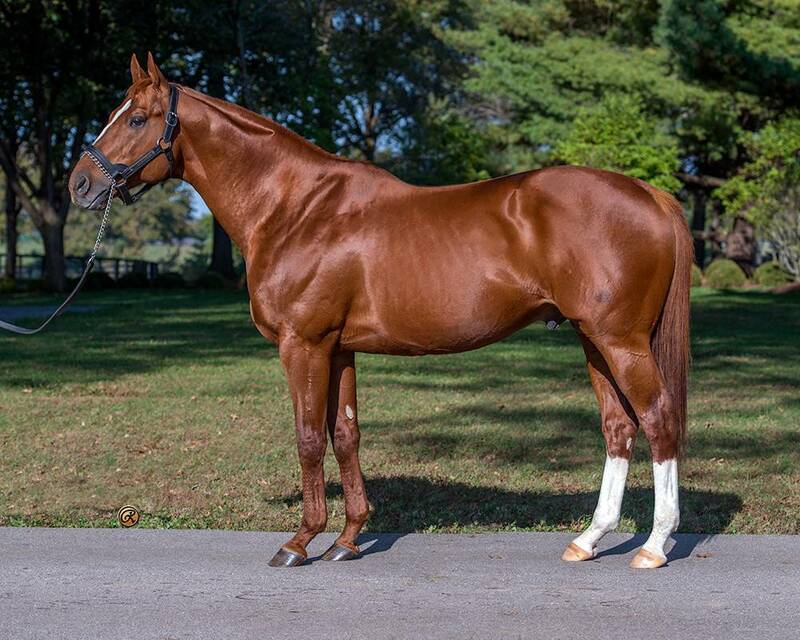 In a banner year for this leading sire, Curlin was represented by eight individual graded stakes winners in 2018, including champion Good Magic, G2 Wood Memorial Stakes winner Vino Rosso, G2 Jim Dandy Stakes winner Tenfold, and G2 Ruffian Stakes winner Pacific Wind. Curlin has continued his meteoric rise to elite sire status into 2019, with three graded stakes winners to date: Gladiator King, winner of the G3 Hutcheson Stakes, Kentucky Oaks bound Lady Apple, winner of the G2 Fantasy Stakes, and Campaign, winner of the G3 Tokyo City Cup Stakes. In addition to their success on the racetrack, Curlin progeny have been in high demand in the sales ring. Three yearlings sold for more than $1 million at the 2018 Keeneland September Yearling sale: a colt out of G1 winner Molly Morgan that sold for $1,800,000 to Oxo Equine LLC, a colt out of stakes winner Stoweshoe that sold for $1,300,000 to Godolphin, and a filly out of G1 winner Dame Dorothy that sold for $1,050,000 to West Bloodstock. A blueblooded Curlin colt out of Achieving lit up the tote board at the 2019 Fasig-Tipton Florida Sale when he sold for $3,650,000, setting a record high for the sale. 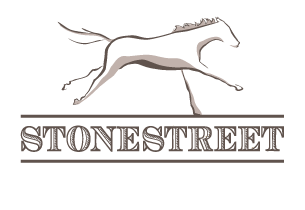 Stakes Performances: Win: G1 Preakness S., G1 Jockey Club Gold Cup S. (twice), G1 Breeders' Cup Classic, G1 Dubai World Cup, G1 Stephen Foster H., G1 Woodward S., G2 Arkansas Derby, G3 Rebel Stakes, Jaguar H. Place: G1 Belmont S., G1 Man o' War S. Show: G1 Kentucky Derby, G1 Haskell Invitational S.